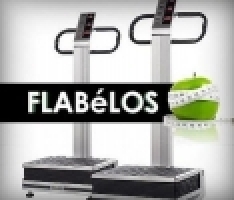 The Flabelos body vibrating device is ideal equipment for offices and for office workers. Did you know that sitting in an office carries the most health risks out of all kinds of work? The lack of exercise causes so many musculoskeletal diseases that it is difficult even to list them. Why is a sitting job risky? Since man was not created to sit all day long. Our body was simply not designed for that. Our skeleton, spine, muscles, the circulation of blood and lymphatic system operate well only if we stay in motion, walk around, move here and there, use our muscles and not when we sit almost still for long hours or even the whole day. Furthermore, don't forget to count in the stress caused by responsibility and deadlines we cannot meet. There is a solution that prevents greater trouble, keeps us in good health and in good mood on a daily basis, all this very quickly. We know that 10 minutes a day is not little but the Flabelos, with an effort of ten minutes daily can improve your and your colleagues’ health. A ten-minutes-break at work is suitable to train all the muscles of your body and to compensate for and help after sitting the whole day. It increases the level of happiness hormones (endorphin and serotonin are released), at the same time it decreases the level of the stress hormone (cortisol). 10 minutes TBV-training can smooth and cease waist and spinal ache, strengthen the muscles near the spine which is extremely important in preventing the abrasion of intervertebral disc and a slipped disc! It stimulates blood and lymph circulation. It brings oxygen to the body tissues. It intensifies and maintains activity. It corrects the posture and develops the sense of balance. It regulates the function of the nervous system. It improves your general well-being. Budapest, District V, Kossuth Lajos utca 14-16. Budapest, District XI, Bartók Béla út 39. 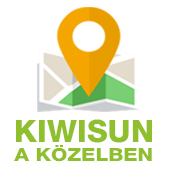 Kisvárda, Szent László utca 19. Székesfehérvár, Ady Endre utca 32. 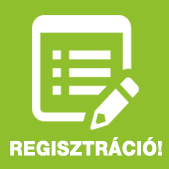 Baja, Déri Frigyes sétány 13. Debrecen, Dósa nádor tér 10. Eger, Bajcsy-Zsilinszky Endre utca 1.